If you are in the healthcare field, you know you will need to have the required medical equipment to be able to properly treat patients. If there’s an emergency, you need to have the proper equipment maintenance to take care of your biomedical equipment and in turn your patients. Like anything that breaks in life, whether it’s the generator, air conditioning, heater, or very important medical equipment in a healthcare facility, it can be tiresome and difficult to get the correct maintenance person out to your facility. Unlike HVAC services, the access to equipment maintenance professionals is a lot more limited than it should be for the biomedical industry. It can be hard to find the right equipment maintenance company that can meet all of your needs. Fortunately, in the New York area of Camillus, Omnicor offers an extensive amount of services to ensure your healthcare facility is able to be successful no matter the time of day, night, or misfortune that befalls your facility. We know that accidents, emergencies, and situations happen, which is why we are able to provide you with an assortment of services to ensure you and your equipment is well taken care of. At Omnicor, we offer equipment rental, preventative equipment maintenance, ventilator service, sales of second-hand equipment, and equipment repair services. We offer our services 365 days a year and 24 hours a day. So whether you are in need of repairs in the middle of the night or the early hours of the morning, we’ll be there to meet your needs. Contact us today to learn more about our services or to schedule an appointment. Do you know why you need access to a leading biomedical equipment maintenance and rental? 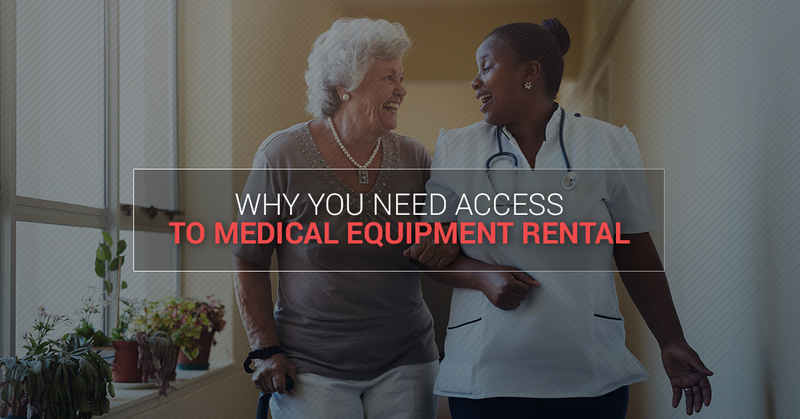 We do, which is why we put together this list of three reasons why you need to be able to take advantage of the medical equipment rental services we provide. You might be wondering why you would need equipment rental if you could take advantage of our equipment maintenance and repair, but these three reasons will help give you a good idea of what to expect when you’re faced with any of these situations. Educate yourself about the need for equipment rental and why it’s imperative that it’s offered to your healthcare facility. If you’re faced with any of these situations, make sure to contact us so we’re able to help you figure out the best solution to your problem. The first reason, and one of the most obvious, is one that you probably deduced for yourself. It’s the most common issue for why medical equipment rental is a great resource to have. Whatever kind of medical facility you’re located in, whether it’s a hospital or a nursing home, you know it can be filled with emergencies. Emergencies take place every day in healthcare facilities, which is why we want to make your life easier by offering medical equipment rental. When an emergency takes place and you need medical equipment, we’re here to provide you a rental. We offer many different medical equipment and supplies, so whatever you need, we have it. All you need to do is take the time to check out our medical equipment rental and we’ll help you with the rest of the process. When an emergency happens, you know to come to Omnicor and we’ll provide you with medical supplies and equipment to help you conquer any emergency in your healthcare facility. This reason goes hand-in-hand with emergencies. When an emergency happens, you need to be able to have a backup to ensure you are able to do what you need to do. When you have a backup, you don’t have to worry about when a machine or two needs to be repaired. When you have access to a backup you won’t have to feel anxious about when one of our technicians who are professional, reliable, and trained well, will need to come and repair your biomedical equipment. With a backup, you’re able to have access to everything you need without the anxiety and fear. Having backup medical supplies and equipment will help you stay on top of your emergencies without worrying about having one of your own. Our medical rental equipment service will provide you with ease and a knowledge that you’re ready for anything. Biomedical students and young professionals need to train and learn to ready themselves for their careers. When you only have a limited amount of equipment, it can difficult to find enough medical equipment to help potential young professionals and students learning appropriately. When you take the time to teach and allow burgeoning young workers to learn properly, they’ll be able to flourish and excel to his or her best potential. Our medical equipment rental is a good service to have in a pinch, but it’ll also help whoever wants to explore new medical equipment and learn more in depth about the industry. Training and learning when it comes to medical equipment will be best in the long run because it allows others to enhance their abilities and skills. If you’re a healthcare facility that allows others to train and learn, we strongly recommend checking out our medical equipment services to help your students and workers strengthen their knowledge on biomedical equipment. For all of your medical equipment and supply rental needs, call (315) 320-4244. We look forward to helping you avoid a potential catastrophic situation with our rental and repair services.